Created exclusively for the Sola community, Sola Pro is not only a resource to inspire creativity – it’s also a way to connect with your favorite brands, to keep a steady pulse on the changing landscape in the beauty industry, and to provide you with all the tools you need to stay at the top of your salon ownership game at #SolaSalons! Download the app on iTunes or Google Play! 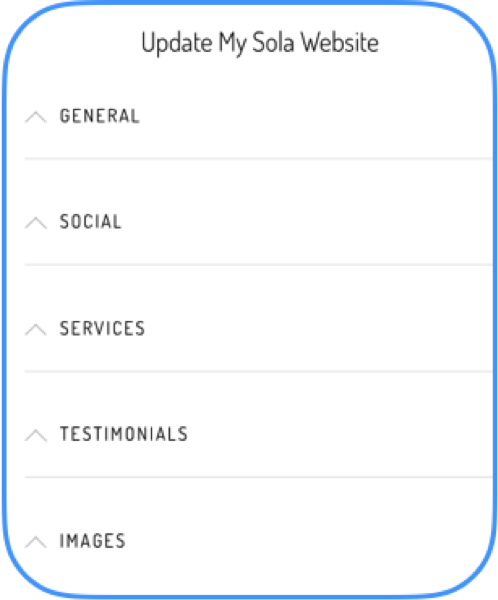 Did you know that with the recent updates to Sola Pro, you now have a personal profile called My Sola Pro where you can view and update your Sola webpage from within the app! You can also search for videos using keywords and flag them to watch later, or check out your video history on your My Sola Pro profile. Read on to find out all the details! Deals: Browse a library of exclusive specials brought to you by the best in the industry! Ranging from discounts on product, online education, styling tools, and much more, Sola professionals now have access to specials that are unique only to the Sola community. Events & Classes: Browse an events calendar to see what classes are occurring in your neck of the woods. Whether your Sola manager is organizing a holiday party, or working with a brand to bring you an artistic class, or facilitating a marketing workshop, the Events & Classes section is the best way to keep a steady pulse on live events in your area! Videos: With categories ranging from Artistic, Business & Marketing, and Inspiration & Motivation, the videos section is a library chalk full of amazing content to keep you at the top of your salon ownership game. From 1-2 minute tutorials to hour-long cutting and styling how-tos, Sola Pro videos can be accessed on the go and on your own time. Tools & Resources: Read articles, blog posts, tip sheets and shade charts that range from Artistic, Business & Marketing, and Inspiration & Motivation. Brand Page: An aggregated look at all the brand partners we’ve partnered with exclusively through Sola Pro. Find your favorite brand and quickly see all the content they’ve contributed on one landing page. Blog: Want holiday marketing ideas? How about studio inspiration tips? Interested in what other Sola rock stars are doing to increase & retain business? Look no further than the Sola blog – stay updated on industry happenings, get sound business advice, and gain inspiration from your fellow Sola community. How to Use the New Features on Sola Pro! My Sola Pro: Your unique Sola profile, where you can view your personal Sola webpage; request updates to your profile that go directly to your manager for approval; see which videos you’ve already watched in Video History, and access videos you’ve flagged to Watch Later. Click “Update My Sola Webpage” from within My Sola Pro. From there, use the drop down buttons to enter all of the information needed to create an awesome Sola webpage! What's in a full built out Sola webpage? Contact information: phone and email address. By adding your email address, a Contact Form will be added to your Sola webpage that people can reach out to you from! About section: your bio should speak to you as an artist and as a person. Add a lot of detail so people can get an idea of how they will feel coming to your salon. This is your place to brag and shine a light on your salon, so make it fun and colorful! After adding all of your information, click “Submit”. You will see a pop up that says your request has been received and that you will receive an email once the changes are made live. At this point, your Sola manager has received an email with a request to review the changes. Once he or she reviews and approves the updates, the updates will be made live, and you will be notified via email. Videos: Now when you’re eager to watch a specific video, you can utilize the Search function and quickly see what Sola Pro has to offer. You can also flag videos to Watch Later by clicking the clock icon in the upper right corner (and lower right on desktop), and access them again by tapping into My Sola Pro. We hope you enjoy the new features on Sola Pro! We can't wait to continue bringing more education and support tools to you via our exclusive app to help you find the highest level of success at Sola!